Ramblings of a Wildflower: A (not so) Wild Goose Chase! 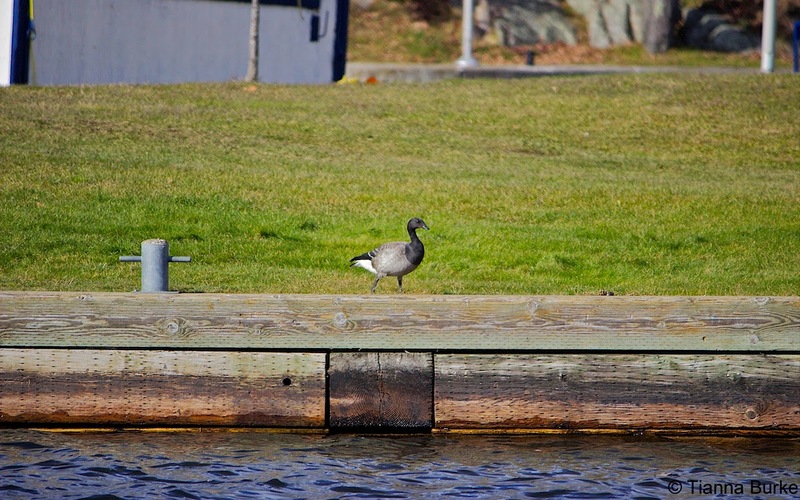 A (not so) Wild Goose Chase! 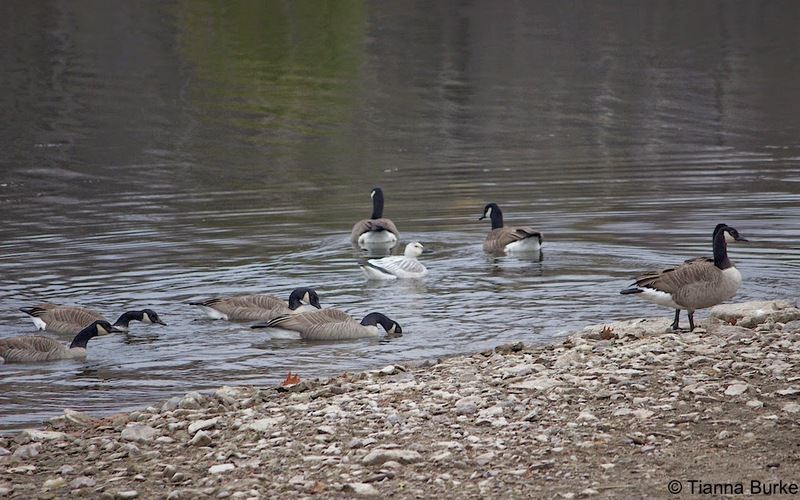 There's been quite a few different kinds of waterfowl popping up in Peterborough County, but none have been creating quite the stir as the Snow geese and the Brant goose have! Earlier this week Mike and I went to try and find the young Snow Goose that had been seen just out of town near Lock 22 and 23. 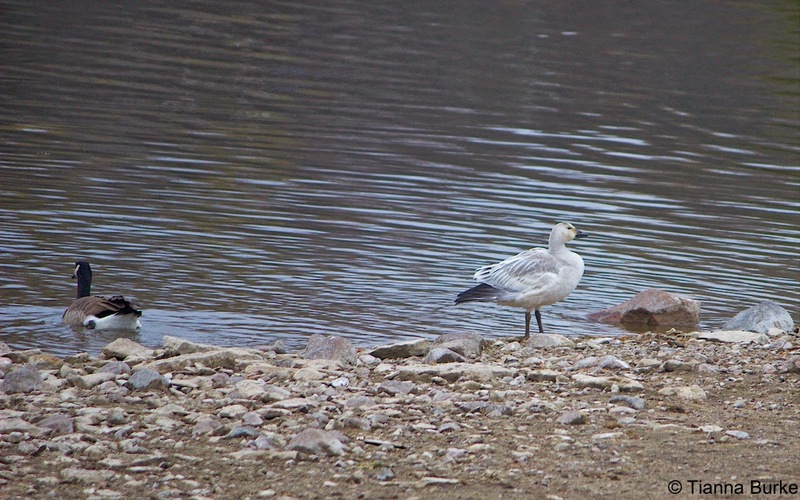 We searched for a good while and only saw Canada Geese and a bunch of ring-billed gulls. We did drive along a few more locks to see if it had moved but no luck. We eventually gave up and began to drive back to Trent. Of course...it is always when you give up when you find what you are looking for! On the drive back we suddenly noticed a REALLY large gull, so we pulled over and alas! 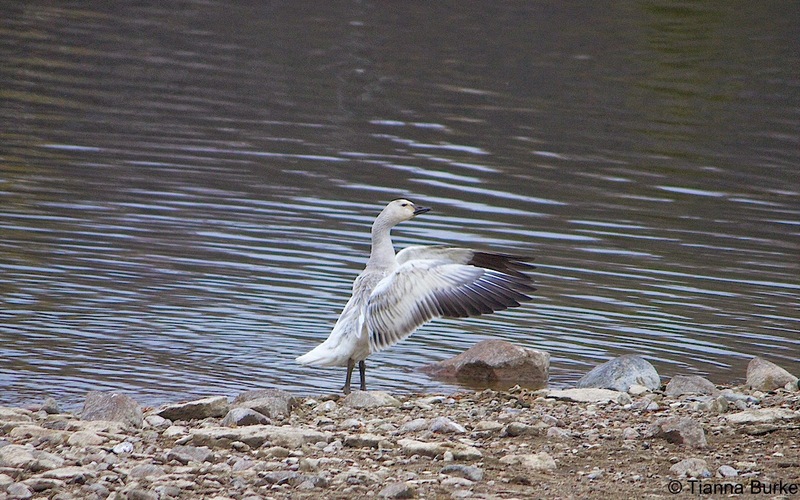 It was a young, slightly grey, Snow Goose! I had seen one only once before back home, however it was flying over head so I never did get a good luck at it. Here though, it was in perfect sight and what a beautiful sight it was! A first of the year for me, and a lifer for Mike! 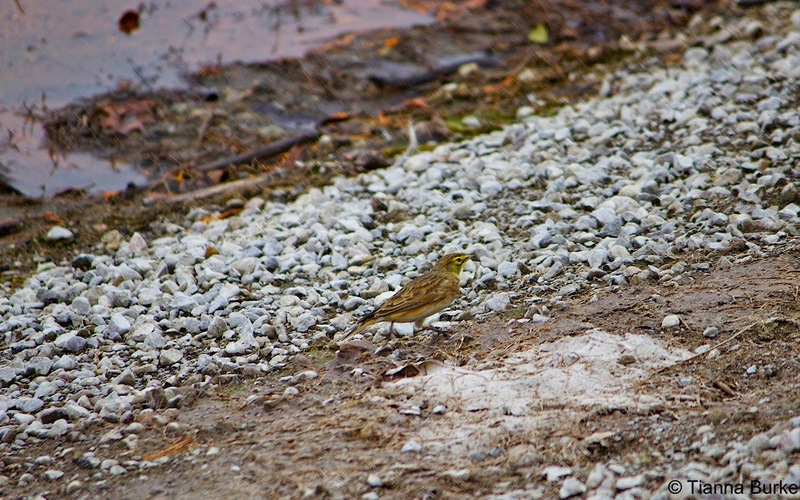 We also saw our first Horned Lark of the year there too! Today, a few of us went out to Bobcaygeon to take down our owl nets and decided to make a couple pit stops on the way back home. 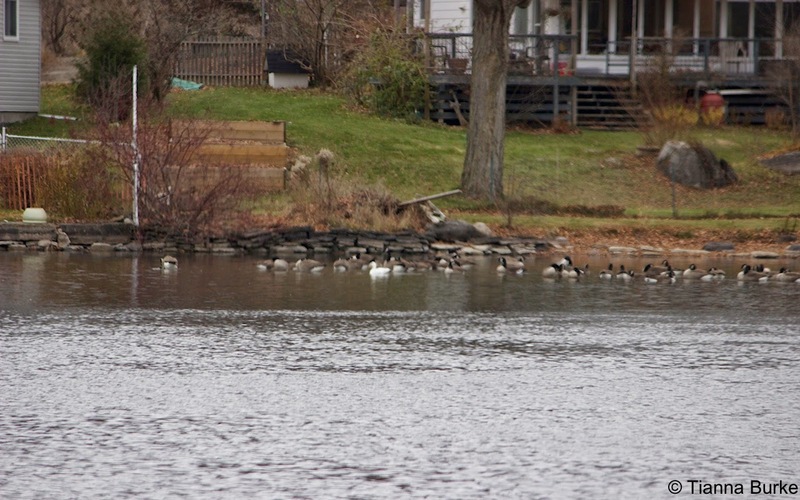 Our first stop was in Burleigh Falls where there had been recent reports of a Brant goose that had been seen there. We took a quick stop, and I have to say it was probably the easiest twitch i've ever followed! Right smack there in the middle of the boat ramp, was the little guy. It was a lifer for two of us (me included!) so it was incredibly exciting!!! Our second stop was at the Lakefield Sewage Lagoons. We were expecting to see many more ducks than what was there, but it was still nice to see 4 different species! 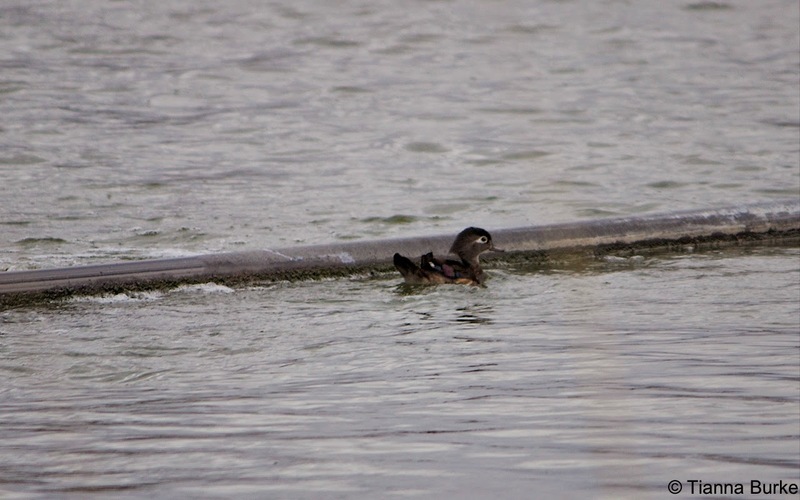 There had been some reports of a female Wood Duck in the lagoons. 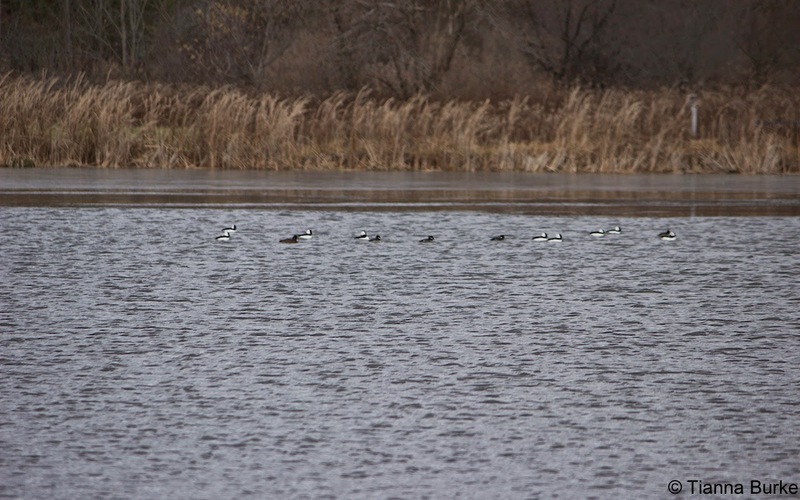 At first sight we saw a number of Bufflehead, Lesser Scaup, and 2 Ring-necked ducks. When we wandered towards Cell 2, we startled up the female Wood Duck. There were a few more bufflehead in this cell, along with one female scaup. Otherwise....there wasn't much else!! New reports of an adult Snow Goose had begun in the last day or two, so we drove by the area where it had last been seen. 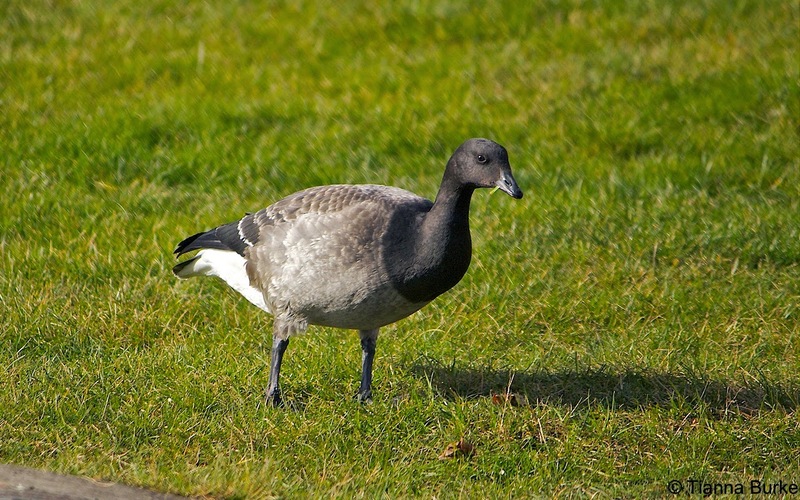 Again, it was super easy to find, especially amongst the Canada Geese!! Overall, it was a pretty good day! I still can't believe we were 3 for 3 for sightings (and 1 for 1 the other day!). It's not that often you head out to chase some reported birds and find them all! Hope everyone has been having a great fall migration! Happy Naturing!